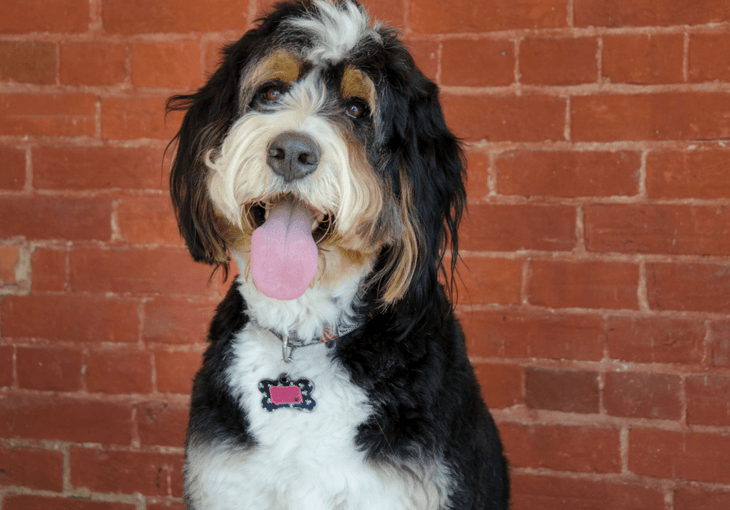 You may be wondering what’s a Bernedoodle dog? You’re not alone, the Bernedoodle is an active, playful pup… always up for fun! They are your perfect friend, that will make you fall in love with life. Let them play with your children, teach them some smart tricks and these breed of dogs will never let you down. So, Exactly What’s a Bernedoodle Dog? Also known as Bernese Mountain Poo, a Bernedoodle is a brilliant amalgamation of smart Bernese Mountain Dog and a cute Poodle. These fluffy pups have the looks to attract everyone and the brains to keep everyone engaged. Their loyalty is something that goes beyond words. You’ll need to have one to know their unique qualities. 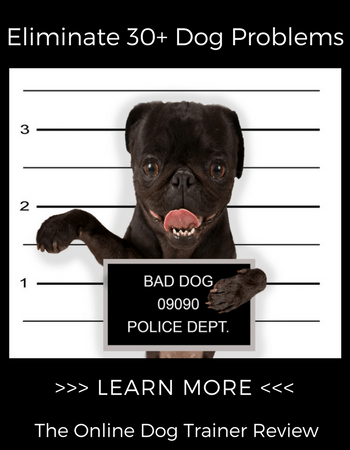 However, make sure to get your pup from a reliable breeder. A breed is perfect from genuine parents, not hybrids. Moreover, all the litter from the same parent may not necessarily look similar and may have different personalities. There are times when two puppies from the same litter may have different characteristics. For example, one may be smarter and furry like the Poodle parent, whereas, the other may be more stubborn like its Swiss ancestor. Nevertheless, if they are original mix, they are sure to win your heart with their overall outlook. Where did the Bernedoodle Come From? Since time immemorial, there has been a high demand for hybrid dogs. Thus, Bernedoodles may have come into existence many years ago. Today one of the best breeders of Bernedoodles is SwissRidge Kennels. The first litter was born in 2003, and ever since, the breeding has caught high demands. Today, one can also find Australian Bernedoodle, which is a cross of Bernese Mountain Dog and Australian Labradoodle. This a hybrid of Cocker Spaniel, Labrador Retriever, Poodle, and Irish Water Spaniel. That’s a whole lot of cuteness and smartness, all bundled together! Bernedoodle Appearance - Looks Matter! Many people have doubts regarding the size of the Bernedoodle, considering a hybrid of the shorter breed of Bernese Mountain Dog. But, you need to understand that there is a poodle parent too. And this makes way for a whole lot of variety. One thing that a buyer needs to know is that the size of the pup is directly related to the size of the Poodle parent. A mix of Toy Poodle and Bernese Mountain Dog will result in small Bernedoodle puppies. Another fact is that male Bernedoodles are a little bigger, as compared to the females. The coat, on the other hand, is very unpredictable. It could vary from curly, straight to wavy. Your pup may possess a coat like either of its parents. Irrespective of their size or their coat, Bernedoodles are very intelligent dogs. They are smart and can learn tricks quickly. They love being around people, especially children. These dogs hate being left alone and can get depressed at times. However, with the right family, one can see the best in them. Spend some cuddling time with them, and you’ll feel the love coming back to you. Stubborn at times, but they’ll never say no to a good game. They are man’s best friend! If you are planning to get a Bernedoodle, you need to know that the food for your pup depends on its size. Mini Bernedoodles should be fed food that is suitable for small-breed dogs, whereas a Standard Bernedoodle should have large-breed food formula. Knowing this is very crucial for an owner. Also, make sure you feed high-quality food to your pup for strong and holistic growth. While it’s still a pup, opting for puppy kibbles can be a good idea, as it consists of essential nutrients. This will help in making his bones stronger. If you are not sure, you can always consult your vet or the breeder. Bernedoodles are playful and energetic. Teaching then some tricks can be very entertaining both for you and for your pup. This breed holds the eagerness to learn new things and is quite intelligent to remember it. However, you need to know how to train them, as no two Bernedoodle pups will be of the same temperament. Therefore, as an owner, you need to be ready for some mischief and a whole lot of love. Being an active breed, the workout cannot be ruled out for Bernedoodles. Taking them for outdoor walks or any other outdoor activity can be a great idea. These dogs love adventure and would like to go trekking and hiking. Bernedoodles will keep you fit too. You need to understand that Bernedoodles are not working dogs. They're meant for people with easygoing attitude. They can adapt to different lifestyles, as long as they get to spend quality time with their owner. You will be amazed to know that the smaller breeds of Bernedoodles are much more active than the bigger ones. So never forget to take them for a walk. Note: Some may have troubles with the digestive system. This is most common in the tiny ones. Most of the reputed breeders make sure to do DNA testing on both the parent dogs before breeding. This ensures the health of the litter. The health of Bernedoodle cannot be predicted. Nevertheless, with proper diet and nutrition, and regular exercise, these dogs can live a normal and healthy life without any ailments. Bernedoodle is one of the newest breeds, as compared to others. Breeders estimate that the lifespan of a healthy Bernedoodle is around 12 and 15 years. Of course, there may be variation, depending on the size and upkeep. Irrespective of the timeline, they live long enough to make you fall in love with them. Planning to Take Home Your First Bernedoodle Pup? Love them, make them meet new people and cuddle them whenever you can. They may be stubborn at times, but you can win them with love and some pampering. Like any other dogs, they love to eat. So keep an eye of what they are eating. Try not to leave them alone. They hate it! All they ask for is love. So, give it to them! We want to hear from you! Let us know in the comments below, if you have any questions about what’s a Bernedoodle dog or just want to share stories of your pup! About the Author: Adarsh Gupta is a veterinary and has contributed articles based on his research in thepetstep.com.